Ready for your close-up? 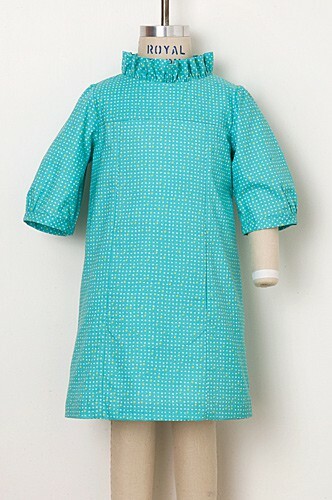 This lined, above-the-knee-length, A-line dress features a hidden, on-seam, front kangaroo pocket and an invisible back zipper. View A has a stand-away, roll collar and 3/4-length cuffed sleeves. View B includes a ruffle collar and gathered, bias-bound, 3/4-length sleeves. 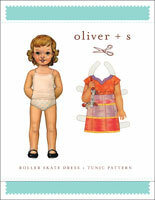 Share your photos on Instagram with the hashtags #schoolphotodress and #oliverands. Girl's dress. 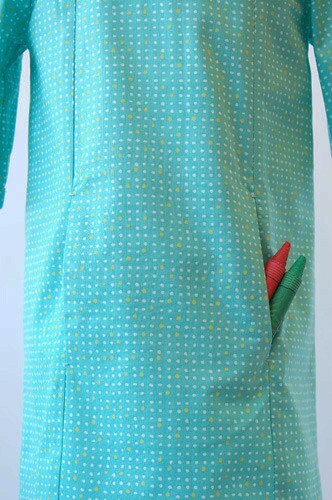 This lined, above-the-knee-length, A-line dress features a hidden, on-seam, front kangaroo pocket and an invisible back zipper. View A has a stand-away, roll collar and 3/4-length cuffed sleeves. 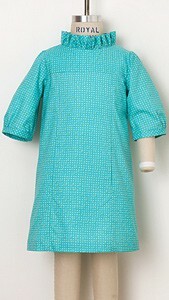 View B includes a ruffle collar and gathered, bias-bound, 3/4-length sleeves. 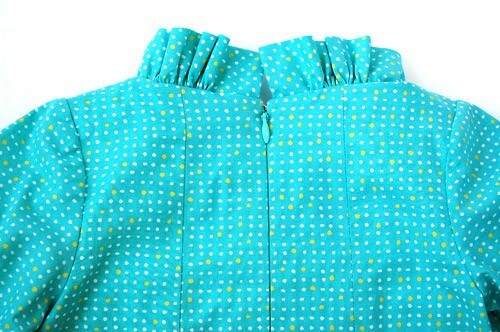 After successfully sewing this pattern, you will have developed the following skills: collar, gathering, kangaroo pockets, lining, set-in sleeves, and zippers. Dress: Light- to medium-weight, non-stretch fabrics like quilting cotton, broadcloth, lawn, poplin, and fine-wale corduroy; silk taffeta or dupioni; linen; and wool suiting or crepe. Lining: Lightweight, non-stretch fabrics like quilting cotton, batiste, voile, and broadcloth; china silk; and rayon. Coordinating thread, lightweight fusible interfacing, invisible zipper (12" for sizes 6–24 M, 14" for sizes 2T–4, 16" for sizes 5–7, 18" for sizes 8–12), hook and eye, one 1/2" button for View A.
Sleeve length* 10 3/4" 11" 11 1/2" 11 3/4" 12 1/4" 12 1/2"
Length** 16 1/2" 17 3/4" 19" 20" 21 1/4" 22 1/2"
Chest 26" 27" 28 1/2" 29 1/2" 31" 32"
Sleeve length* 13" 13 1/4" 13 3/4" 14" 14 1/2" 14 3/4"
Length** 24" 25 1/2" 27" 28 1/2" 30" 31 1/2"
Note that in the first printing of the paper version of this pattern, the shading symbols indicating the lining and the interfacing were reversed on pages 3-4 of the instructions. 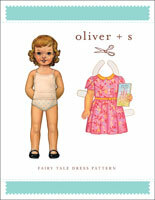 This error has been corrected in the digital version of the pattern that is now available. 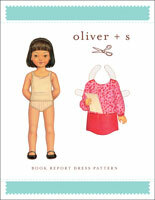 Discussion on the digital school photo dress sewing pattern from the Oliver + S Discussion Forums. Find and share more photos on Instagram using the hashtags #schoolphotodress and #oliverands.